Australia: it’s an adventure, but it’s expensive. Especially if you’re not planning on working in Australia, travel there can put your bank account under a lot of strain. But there are plenty of different ways to enjoy Australia, for all budgets; whether you’re backpacking Australia on a shoestring or have a little bit more money to enjoy the luxuries. 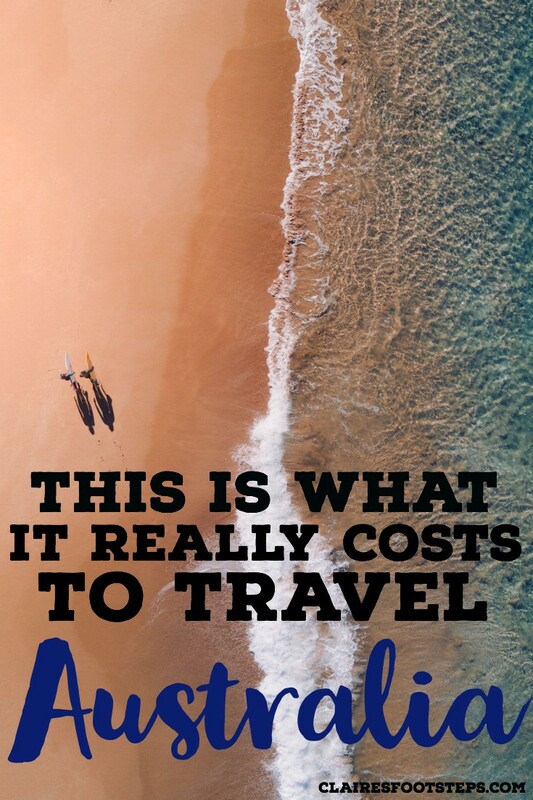 Here, I look at the cost of travel in Australia and how you can tailor make an Australia travel budget so you can enjoy the very best of the country while not bankrupting yourself in the process. Sound enticing? 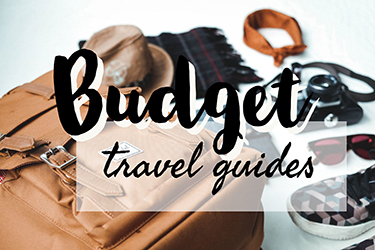 It’s hard to make a one size fits all travel budget for Australia because there are so many different ways to explore the country. Some people want to stick to the hotspots of the east coast, others are keen to free camp their way up the west. Some may favour a whistle-stop tour to Uluru, the Top End, the Great Barrier Reef and the southern cities of Sydney and Melbourne, while others prefer to slow travel around the continent. I’m going to explore some different trips and different budgets, so you can select the best fit for your desires and requirements. Also note that I have itineraries on every route (and more!) specified. You’ll find the links below! As you may know, Australia is a long way from everywhere. It is fairly expensive to reach from anywhere other than Asia, but you should be able to find some fairly cheap deals if you’re flexible with dates, airports and airlines. It might also be a good idea to spend some time in Asia before flying over as it both breaks up the journey and often works out cheaper. The first time I entered Australia, I flew from Hong Kong to Sydney with a 2 day stopover in Singapore. It cost me £180/ $312 AUD/ $231 USD. The second time, I flew from Bali to Darwin – probably the shortest international plane journey from Australia. This was cheap as chips, costing me around $40 AUD/ £23/ $29 USD. On my way home from Australia, I flew from Melbourne to Chongqing, had 3 days in Chongqing and then flew to London Gatwick from there. The total cost was around £400. There are so many different routes through Asia, so there will most likely be one that isn’t too bank-breaking. Unless you’re from New Zealand, every nationality needs a visa for Australia. Luckily, it can easily be obtained online and the tourist 3 month visa is free. If you want to work, you’ll need to apply for a working holiday visa. The type that you’ll need depends on where you’re from, and it also determines what kind of work you can do to extend your visa. People from the states used to get a bad deal, as they couldn’t extend their visas – but now their options for regional work are waaaay better than those on the other visas! The working holiday visa costs $450 AUD. You can also use this visa even if you don’t have an intention of working and just want to holiday in Australia for a year (although you’ll have needed to save up a lot for this!!). You can apply for the visa on the Australian government website or on a site like e-visums.co.uk. If you’re planning on a working holiday visa in Australia, you may need to provide evidence of having at least $5000 on arrival. This money will likely go on accommodation and living expenses before you find a job; although if you’re savvy and get a job quickly you could obviously save a big chunk of this – I didn’t get a job for 6 weeks after I arrived in Australia and I only spent $1500. 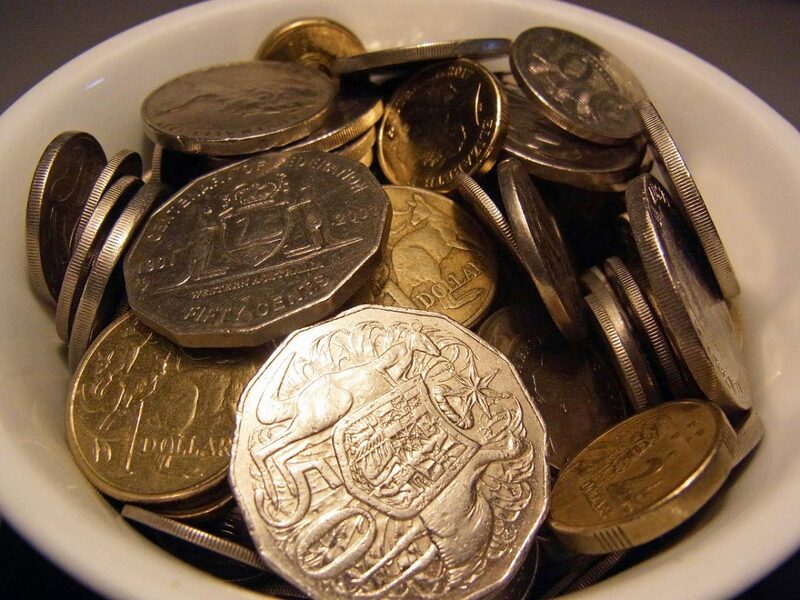 Working in Australia is a great way to save money, because they pay a mint. I’m talking $20-$30 an hour for restaurant and bar work, and $40+ an hour for labouring. Some of the best places to earn money are Sydney, Melbourne and Perth – although they are also expensive to live in. I worked in Byron Bay, which may well be the worst place in Australia to work, but the best to live :). It’s difficult to find jobs in Byron Bay because everyone wants to live there, and any job offers only pay minimum wage! The place changed my life though, so I’m happy to be skint for it. 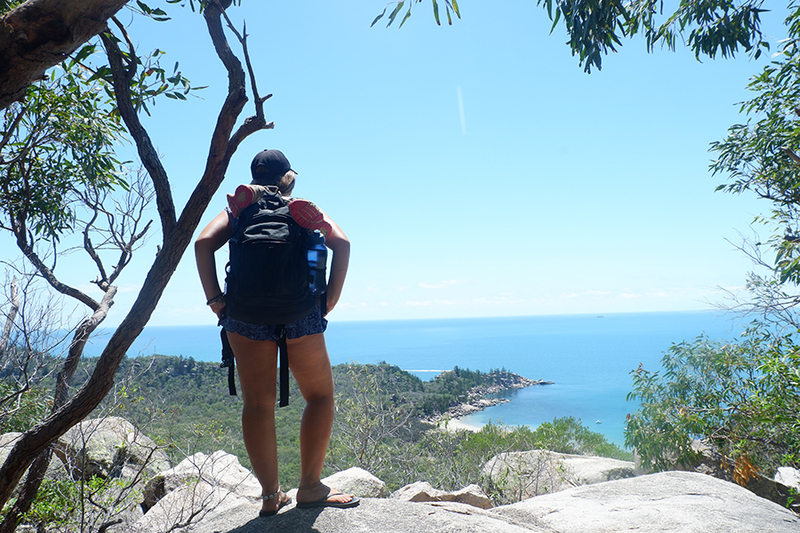 The east coast – from Cairns to Brisbane, Sydney or Melbourne, is the most popular backpacker odyssey in Australia. Pricey hostel rooms and eating out can make it expensive, but there are lots of ways to save money as you go. Accommodation: This budget includes 42-56 nights in hostels. At an average of $30 per night, this would result in $1260-$1680 on accommodation. Transport: A hop on, hop off Greyhound bus from Cairns to Melbourne pass costs $549. Note that it is cheaper if you just do the Cairns to Sydney or Cairns to Brisbane portion of the road trip. Campervan hire starts at around $1,130.04 and petrol costs about $1200. This would be split by whoever is in the car, of course. Note: if this isn’t your only Australia road trip I strongly recommend you buy a car or campervan rather than hiring one. It works out a lot cheaper in the long run and you have more freedom. Skydive – check out Byron Bay skydiving here. Whitsunday Cruise – $350 – see tour options here. 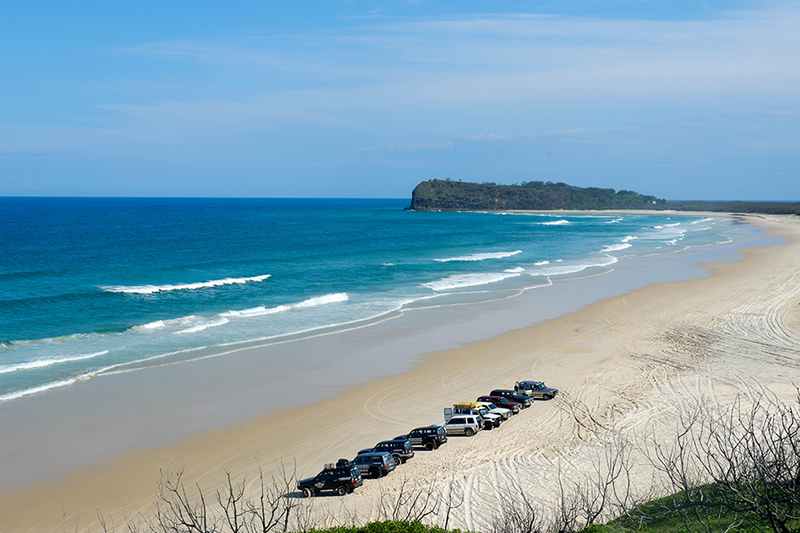 Fraser Island – $494 – click through for tour options. Food: For food, budgeting around $30 per day allows for two purchased smaller meals and one larger meal out. If you’re travelling for 8 weeks, that’s $1680. Alcohol: drinking around 20 beers or glasses of wine out per week will cost $100-$160 – so anywhere between $600 – $1280 for the entire trip. If you get through a box of goon or ten beers per week bought from the bottle’o as well, you’ll be looking at another $100ish+ for the entire trip. When I backpacked the east coast, I fitted into this category. 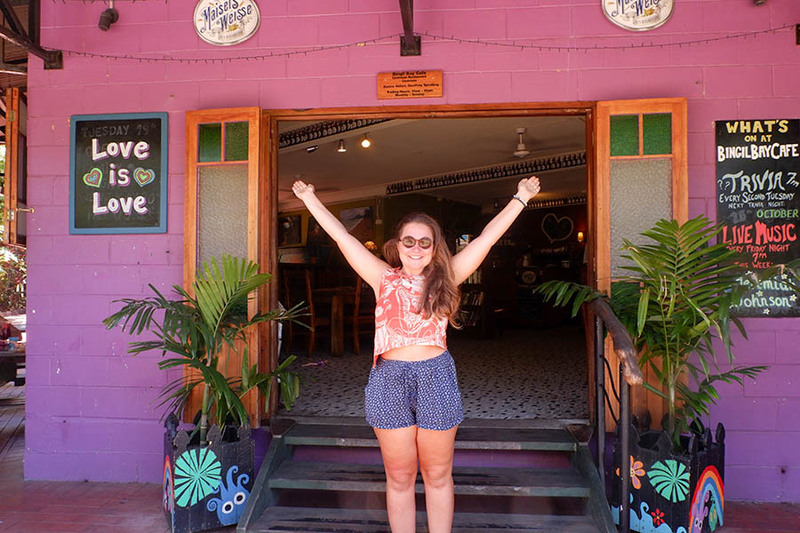 A budget for 6 weeks in Australia includes all of the best tours, a mix of hostel stays and nights in free camp sites, some beer and goon and both cheap meals (and far too many subway sandwiches) out and self-cooked meals. 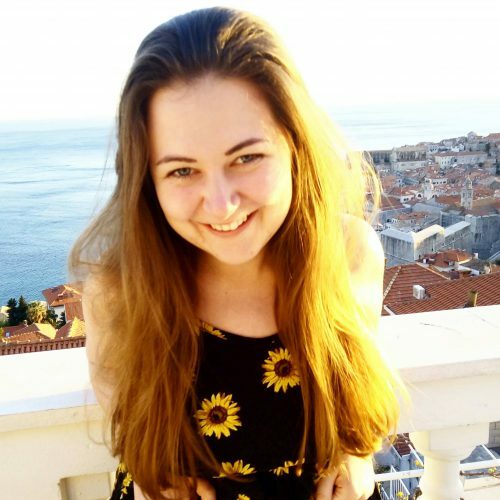 Accommodation: staying in hostels on the east coast enables you to meet other travellers and be in a great location for the activities; so you will want to stay in them at some points. If you were to stay in hostels half the time and free camp the rest of the time, you’ll spend around $620. This can obviously be cut down depending on how often you’re willing to free camp. Some hostels, like Nomads in Airlie Beach and Southern Cross Backpackers 1770, have camp spots/ places you can sleep in your car for less. Transport: the most budget-friendly way to see the east coast is to find a ride share, which means that you’ll just be paying for your share of petrol. Depending on how many of you there are sharing the petrol, you’ll be paying $300 to $600 for the whole journey. Of course, you might want to buy your own car and see the coast this way; this is a financial commitment, but you’ll be able to get some money back when you sell it. Fuel costs around $1200 to travel from Cairns to Melbourne. Or you could look at renting a car; which is not too expensive when split with friends. The greyhound pass is another option, costing $549, but it’s unlikely you’ll be able to stay at free campsites doing so. 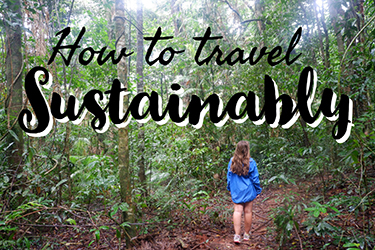 If you don’t have another option, you’ll be able to save on your trip in other ways. Food: You can get by on the east coast on a budget of $15 – $20 per day, which includes a mix of eating out and cooking for yourself. That’s around $735 for yer whole trip. Alcohol: Limiting yourself to 10 $5-$8 drinks per week means that you’ll spend around $80 on drinks out every week – $480 for your entire trip. Add in a box of $12 goon each week and a $20 box of beer and you’re looking at $672 on alcohol for your six weeks on the east coast. Accommodation: free camping up the coast will leave your wallet happy by costing you absolutely nothing! Check out my post for free camping tips. Transport: A Greyhound Pass won’t cut it for this one – you’ll need to find your own (or someone else’s wheels) to really budget on the east coast. Making a mate who has their own car means that you’ll save a ton by just chipping in for petrol – you’ll pay between $600 – $300. Alternatively, buy or rent your own whip – rental can be pricey but can be split with friends, but if you buy a car and sell it at the end of your trip you’ll make a lot of the money back. Activities: depending on your budget, you could just commit to the free things on the east coast, which includes national parks like Noosa national park, exploring towns like quirky Byron Bay and the cities of Brisbane, Sydney and Melbourne, and enjoying the thousands of kilometres of beautiful beaches. I do recommend the Great Barrier Reef, the Whitsundays and Fraser Island trips highly; but pick and choose which you can afford and which interest you the most. Food: If you’re organized and don’t impulse buy food, it’s easy to get by on $5 a day for cheap supermarket bought ingredients. This will cost you a total of $140 for the whole trip. Alcohol: of course, you could not drink at all on the east coast, slashing your alcohol expenditure. If you can’t face that, a box of goon a week will cost you $12 per week or $48 for the entire trip. While the east coast is very easy to travel solo, there are also lots of pre organised tours that plough the route. This is a great idea if it’s your first time travelling, if you’re on your own or are short on time. There are lots of ways to save money on the west coast, but a guided tour isn’t one of them. However, if you don’t have access to a car, this is the only way to see the west – and it’s not to be missed. Accommodation: if you favour a roof over your head, you can stay in hostels when available. This isn’t possible everywhere on the west coast but can be found in some towns. Alternatively, opting for paid-for campsites means you’re guaranteed a shower and a camp kitchen. If you’re avoiding free campsites where possible, you’re looking at spending around $450 on accommodation for 3 weeks. Transport: if you have your own car, or can share a ride, then you’ll just be paying for petrol on the west coast. It comes to about $1200 for the whole distance from Perth to Broome (with some side stops). If you need to hire a car, rates start from $2000 – $3000 for 3 weeks. Whale Shark Tour from Exmouth – $400 – book a whale shark tour in advance here or learn more about a tour swimming with humpback whales. Other amazing parts of the west coast, like beautiful beaches and national parks, are completely free. Food: spending $15-$20 per day on food will enable you to eat quite well, eating out where possible. That’s $315 – $420 for the whole trip. Alcohol: you won’t be hitting up many bars on the west coast, but if you’re buying a couple of boxes of beer each week you’ll be looking at around $40 per week, or $120 for the entire trip. It’s possible to do the west coast road trip very cheaply, paying for only petrol and food. Here’s how much it can cost if you’re really looking to save. Transport: if you have a vehicle sorted, just paying for petrol will cost around $1200 – split between however many people there are in the car. 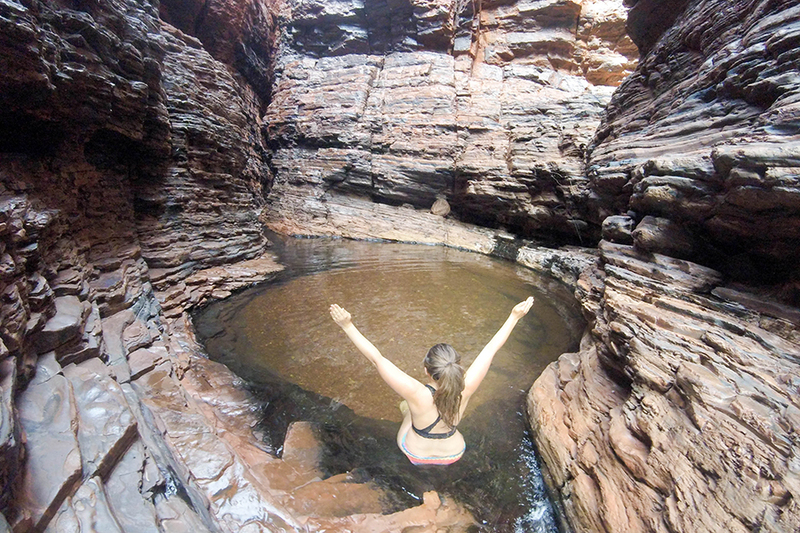 Accommodation: you can free camp the whole way up the west coast, with the only exception being in Karijini National Park. You’ll want to spend at least 2 nights there and there are no free campsites within the park. Dales Campsite costs $10 per night, so $20 in total. Food: if you’re very organized (there aren’t many Woolies or Coles along the west coast!) and are prepared to eat mainly tinned food, you can still get by on $5 per day for food. That’s $70 for two weeks. Alcohol: if you’re really budgeting, alcohol should be omitted from your west coast expenditure. Activities: the whale shark tour is one of the best things I’ve ever done, but it is expensive. If you don’t have the dollar, stick to a national parks pass, which is $40 for a vehicle and can be split with your travel mates. The Red Centre is one hell of a road trip. Spanning from the tropical top end, through some of the world’s most inhospitable desert and ending in temperate Adelaide, it’s a wonder why more people don’t do this voyage. The Darwin to Adelaide road trip can be done cheaply or expensively, depending on how you want to travel. Taking a guided tour is the most expensive option, but is essential if you don’t want to drive or rent a campervan. Accommodation: staying in proper campsites and hostels will set you back between $10-$30 per night. Campsites normally cost around $15-20, with hostels coming in at $25-$30. Because of the remoteness of a lot of places on the Darwin to Adelaide road trip, hostels are not available everywhere. If you’re paying for accommodation every night, factor in around $400. Transport: around $1000 for petrol will get you through Kakadu and down the red centre to Adelaide. Factor in more if you want to take the Oodnadatta Track or the Red Centre Way. If you need to hire a vehicle, you’re looking at at least $2000, which can be split between you and your travelmates of course. Activities: Kakadu National Park costs $40, which goes into preserving the park. The Uluru-Kata Tjuta National Park costs $25 to enter. Don’t climb Uluru, by the way. All other national parks, and most other attractions are free. You might want to spend a bit of money seeing some attractions in Alice Springs (the desert park for example is $20). Budget around $100 to see all the attractions. Food: food can be purchased in roadhouses and in towns or cities with restaurants, but often you’ll be cooking your own meals as well. If you want to eat out where possible, factor in $10 – $15 per day on food – so $210 to $317 for your whole trip. Alcohol: prices at campsites and remote pubs and bars can be high. If you’re buying a couple of drinks every night, you could easily be spending $25 per night, so $525 for your whole trip. Accommodation: you could free camp pretty much the whole way (maybe paying for accommodation in Alice Springs as there are not any free campsites in the city that I am aware of) for $0. If you stay a night in Alice, you’ll end up spending just $30 for your whole trip. Petrol: Petrol will be as before – around $1000. If you’re really stuck for cash, try and find someone with a car rather than renting one. Activities: Unless you really have no money, Kakadu is an absolute essential. 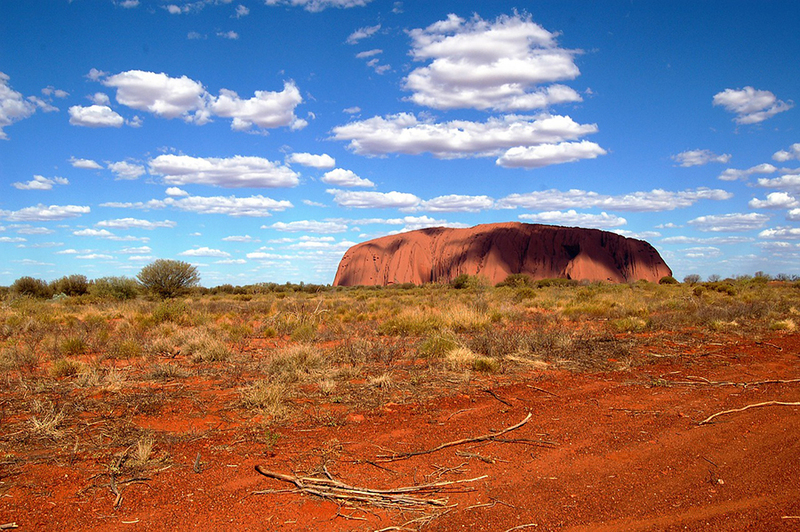 It’ll be like nowhere you’ve ever been – so do try to find the $40 from somewhere, even if it means selling your soul… Uluru as well, is obviously pretty essential for anyone travelling in the red centre. When you see the incredible amount of work that goes into protecting the nature, you won’t mind spending the money. This means you’ll be spending a minimum of $25, but probably $65 on attractions. Food: If you’re on a super budget, food can easily be had for $5 per day. This comes in at the princely sum of $70 for food for two weeks. Alcohol: just like elsewhere in Australia, a couple of boxes of beer a week will set you back $40 – so $80 for the whole trip. The north west road trip is one of the most spectacular experiences in Australia. 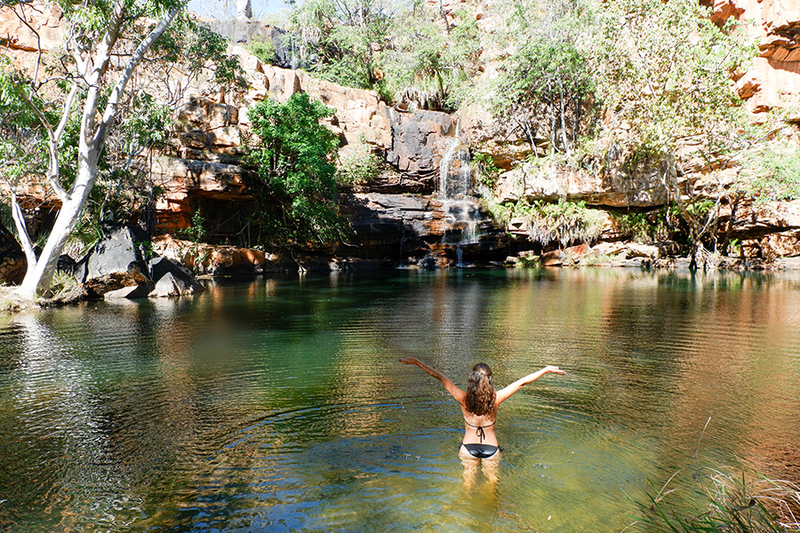 The Kimberley region is home to beautiful waterfalls, red outback roads and gorgeous gorges (pun intended). It’s not too expensive, as it’s one of the shorter road trips on this page, and there’s no hotel or hostel accommodation for the bulk of this route. That’s right, camping is necessary. Accommodation: On the Gibb River Road, there aren’t many free campsites. So budget around $70 for the whole trip to stay on campsites en-route. Transport: prices are high on the Gibb River Road – if you can take a few tanks and fill up in Broome it is recommended. 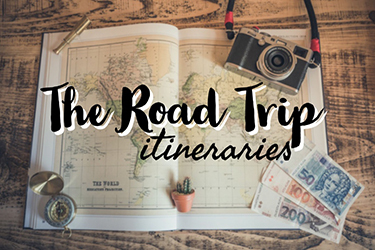 I’d say you’re looking at paying between $500 and $700 for the whole road trip – obviously if this is split between a few of you prices go down. Attractions: The delightful bit about the Gibb River Road is that pretty much everything that you need to do is completely free! 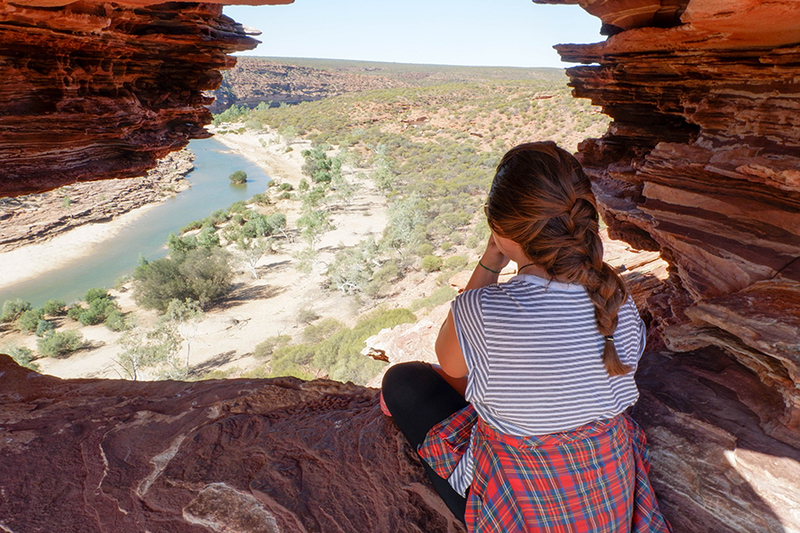 Windjana Gorge has an entrance fee of around $14, but all other gorges, waterfalls and parks are totally free. If you do have some spare cash, you might want to do some tours on Lake Argyle. You can do sunset cruises or lunch cruises on the river, which are absolutely spectacular. I’d also recommend staying at the Lake Argyle Campground when you get there – the infinity pool is a great respite after the madness of the Gibb River Road! Food: You won’t be able to spend much on food – for the same reason – there isn’t much available! Make sure to pack lots of tins and not too many perishables unless you have a coolbox – the car gets hot during the days. 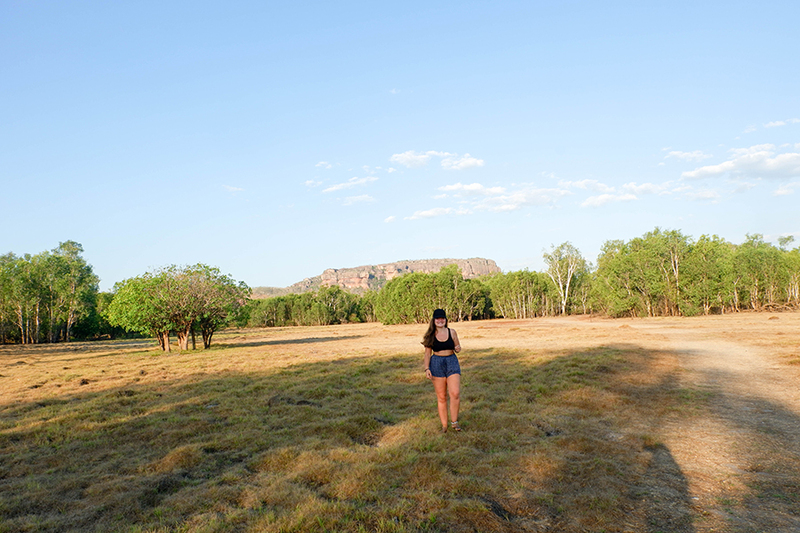 Budget around $10 per day per person – this includes a meal at El Questro when you reach it, and one in Kunannurra as well. Alcohol: Like with restaurants, there aren’t that many places to buy booze on the Broome to Darwin road trip. I’d recommend spending the time disconnecting and enjoying nature, but if you do want some beers, grab a 10 pack for around $20. Please note, that the Gibb River Road is a very unsealed and bumpy road. Please get your car serviced, at least before you leave Perth, to check that there is nothing that would cause it to break down in the middle of the road. Make sure you have a spare tyre – or two if you can accommodate them. I burst a tyre on the road, it is very easily done. If I’d burst another one, I would have had to be towed off the road and fork out an extortionate bill. Tasmania, the island state to the south of Victoria, is somewhere that’s beauty is still not widely known about by backpackers. Sometimes known as the love child of Australia and New Zealand, there’s so much to explore on a Tasmania road trip that will leave you awe-struck. And best of all, it’s pretty cheap! Accommodation: it’s entirely possible to free camp all the way around Tasmania; and actually, there aren’t that many hostels. You might want to stay in a hostel in Hobart to freshen up, so factor in around $30 for this. If you want to stay in Hobart for a few days, budget around $90 for accommodation. If you’d rather stay in paid-for campsites, factor in around $15 per night. Transport: budget around $500 petrol for your Tasmania road trip. This can of course be split between however many of you are in the car. If you need to rent a car, factor in these costs as well. Activities: You’ll need to pay $60 per car for a parks pass. This can obviously be split between whoever’s in the car. MONA is an essential museum to visit – it’s an art gallery with a big difference. Tickets cost $28. The other activity worth seeing is the Port Arthur convict site which costs $39. You can, of course, take boat trips and do other activities in Tasmania, but you’ll be able to see the highlights without. If you’re visiting Tasmania on a budget, just factor the $60 (split between you and your travel mates) for activities – if you want to see all the highlights, they’ll cost $127. Food: you can obviously do a big shop and cook for yourself, in which case I’d say around $30 – $40 a week is enough. If you want to eat at a restaurant, budget between $10 and $20. Based on eating out twice a week and doing a food shop, food should set you back around $315 for three weeks. Alcohol: Tasmania is another place that is best enjoyed sober, but if you do want to drink, the best/ cheapest bet is to buy whatever you want from the bottle’o. You know the drill. If you’re road tripping for 3 weeks and want to get two boxes of beer a week, that will work out to be $120. Australia is a huge country, and unless you’re travelling from New Zealand, Papua New Guinea or Indonesia, it will take a while to get there. 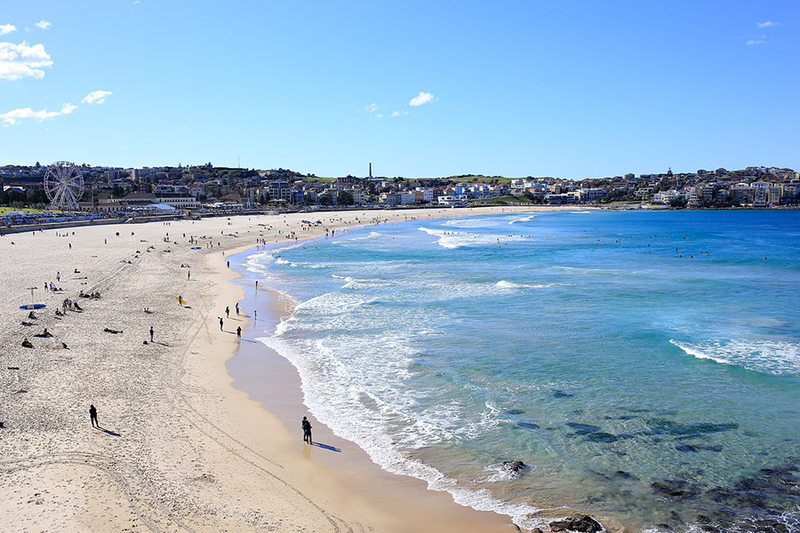 Becaues of this, I really wouldn’t recommend just spending 7 days in Australia – but if you do, it’s best to stick to one state, city or territory or take a couple of internal flights. As this is primarily an overland travel blog – and I never took an internal flight in Australia – I can’t recommend internal flights too much, but Jetstar, Virgin Australia and Qantas all offer internal flights to the major cities for fairly reasonable prices. If you’re spending 7 days in Melbourne, expect to spend $40-$200 per night on accommodation. Budget $30 per day if you’re eating 2 meals out, or $10 per day if you’re cooking at your accommodation – check out this review of lentils as anything for a great sustainable budget-friendly restaurant. Essential paid-for activities in Melbourne include the Melbourne museum and the Immigration museum – other attractions like the AMCI and Hoiser Lane are free. From Melbourne, you can day trip to some of Victoria’s best national parks and towns. Budget around $114 for a Great Ocean Road tour, $130 to visit the Grampians National Park and $80 for a trip to Ballarat (taking the train), a historic goldrush city. Check out this guide to visiting Melbourne on a budget for more information. Sydney has a similar budget, with hostel dorms costing a minimum of $35 and some being more like $50, and hotel rooms costing $100-$200 + per night. Budget a similar amount for eating – $10-$30 per day will enable you to eat fairly decent food. A lot of attractions in Sydney are free – but the Australian Museum costs $10 to enter. Tours from Sydney include the Hunter Valley Wine Region and the Blue Mountains. If you want to see some of Australia’s northern highlights, you could see Darwin and Kakadu, and then fly to Alice Springs to see Uluru. This is a pretty costly option; accommodation in Darwin costs $30-$200 per night, a Kakadu tour will cost $540, flights from Darwin to Alice Springs cost at least $200, accommodation in both Darwin and Alice Springs costs anywhere from $30 – $200 per night and an Uluru tour from Alice costs $395. 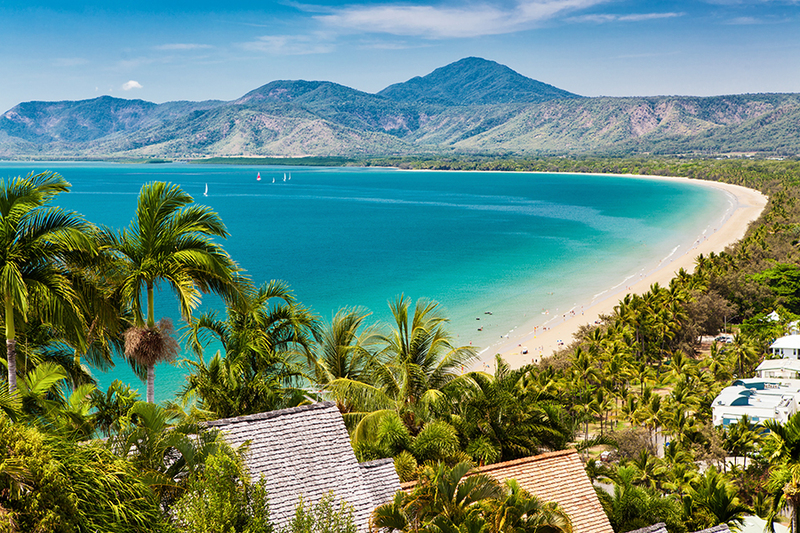 Or you could explore the Cairns area, doing a Daintree rainforest tour (expect to pay around $150), dive the Great Barrier Reef for $150+ and take a Greyhound bus to Mission Beach (prices start at $25) and then to Townsville (for around $44) and then the ferry ($33) to Magnetic Island. Expect to pay between $20-$120 per night for accommodation in Far North Queensland, with meals out costing betwen $20 – $30 and beers being around $8. 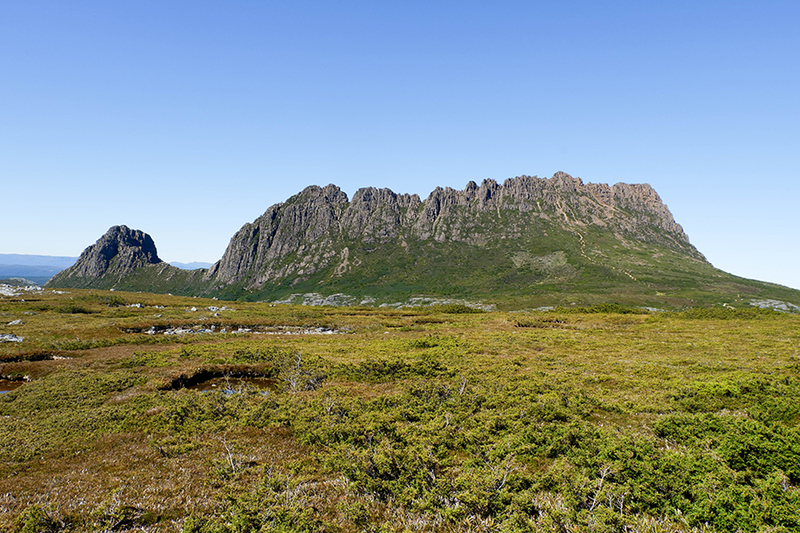 If you only have 7 days in Australia, consider spending them in Tasmania. Basing yourself in Hobart will enable you to see the best parts of the island state. You can take tours to Mount Field, Cradle Mountain and Wineglass Bay and pay between $20 – $120 per night for accommodation. Meals in the city cost around $20 and beers are around $9. As you can see by the huge, huge disparity of prices on this cost of travel in Australia guide, the spending money per day in Australia ranges hugely. Here’s what I reckon to be an average, based on my experience and my cool algorithm I’ve made up. Of course, these can be made drastically cheaper or more expensive, depending which way you want to swing it. If you’re in Australia on a 7 day trip, and are using organized tours, expect to pay at least between $100 and $200 per day. If you’re sticking to cities and staying in hostels, this can be lowered, but trust me the best part of Australia is its nature. So, after all of these numbers, I guess you’re wanting to know what the coast of an average trip to Australia is? I’m gonna be honest.. I have no idea. It depends on how long your trip is (my 1.5 year trip was obviously a lot more than a 7 day trip! ), your travel style and where you go. I could pluck a random number from thin air, but it probably won’t help much. Did you like this post? 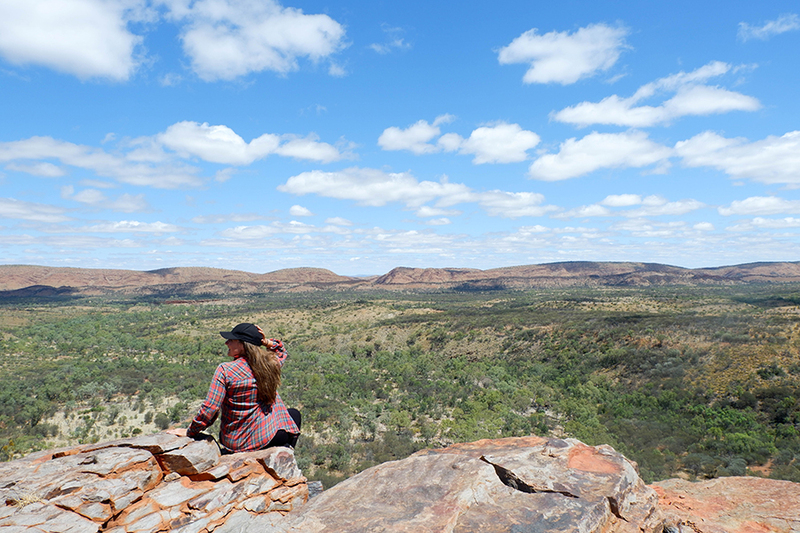 Follow me on Facebook to stay updated – there’s still lots of Australia posts in the pipeline! Some of these links are affiliate links. If you make a purchase using them, I may make a small commission at no extra cost for you. This is just one of the ways I can keep producing content like this for free!